Welcome to Oxford Mobiles & Computers Ltd. The microSDHC cards offer higher storage capacities for more music, more videos, more pictures, more games – more of everything you need in today’s mobile world. The microSDHC card allows you to maximize today’s revolutionary mobile devices. 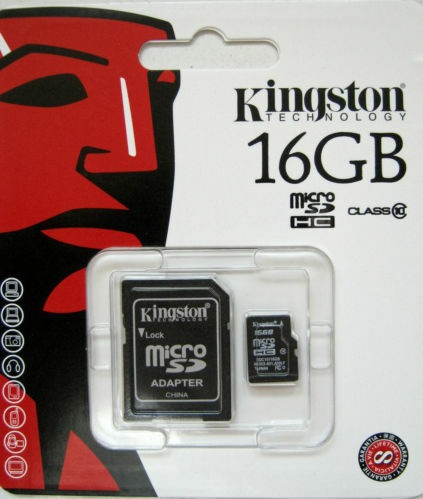 Kingston’s microSDHC cards use the speed class rating that guarantee a minimum data transfer rate for optimum performance with devices that use microSDHC. Identical in physical size to today’s standard microSD card, the microSDHC cards are designed to comply with SD specification version 2.00 and are only recognized by microSDHC host devices. They can be used as full-size SDHC cards when used with the included adapter. Wireless 2.0 USB 300Mbps WiFi Network Card LAN Adapter..
© 2018 Oxford Mobiles & Computers Ltd. All Right Reserved.